In high school, the girls around me had one wish–to have a different nationality, preferably American, and to trash our drab school uniforms for the outfits in “Beverly Hills 90210.” Being Japanese was just no fun, though it did seem better than hailing from other Asian countries. After all, this was the 1980s and the Japanese economy was gearing up to enter the bubble era. The Equal Employment Law for women kicked in. Chiaki Mukai was training to be Japan’s first woman astronaut. Takako Doi was rumored to become the future Prime Minister. Things were happening here, albeit minus the fun, sophistication and glamour we so coveted. Little did we know that one day, Singapore and China would trump (pun intended) the US in many things regarding money, or that Asian women would come to rank among the richest in the world. These women would book first class flights on the five-starred Singapore Airlines to chill in the gaze of the Mer-Lion, and immerse themselves in gossip, shopping and spas with unlimited supplies of yuzu-scented sheet masks. No yakuza, geisha, or Matt Damon here. For that’s what the ladies in the movie “Crazy Rich Asians” do. On the occasions that they haul themselves off the mani-pedi bed or tear themselves away from the mahjong table, they reach for their phones to tap a few keys and murmur a few instructions, to put extra padding on their already bursting bank accounts. After that, they’re off to dinner parties where a billion orchid petals pave the paths and splendid fireworks explode in the background. Who do these people think they are, clones of Daisy Buchanan from “The Great Gatsby”? 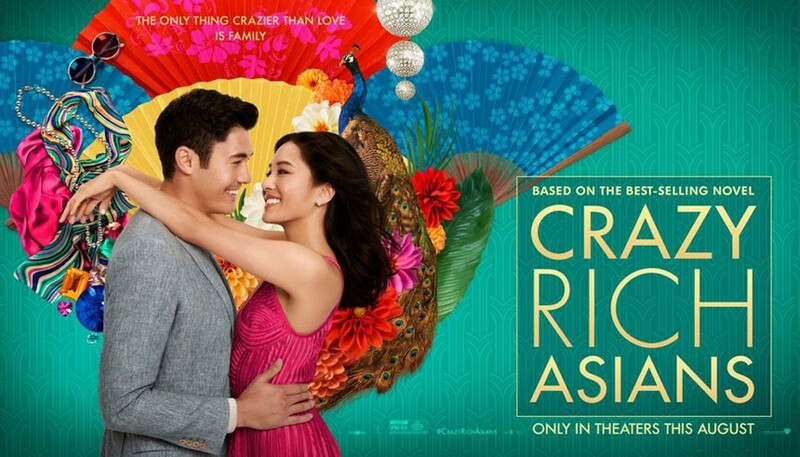 Speaking of which, “Crazy Rich Asians” is the kind of insular, extravagant love story that would have made Scott Fitzgerald weep with envy. Director Jon M. Chu, who hails from Palo Alto and attended USC, has been working in films and TV since 2002 and this time, he literally hit the jackpot. Somehow the man knew that the world needed the sight of well-heeled Asians with perfect teeth, flinging their cash around at the same time they’re being swooningly romantic. Chu dares to tread where no Hollywood movie about Asia ever has. There is no poverty or war. No samurai conflict. No appearance of Matt Damon (The Great Wall) or any white saviors to save the day. No immigration issues. Most importantly, there are no mothers crying about the sacrifices they made, to give their children a bright future in America. The mother in “Crazy Rich…” (played by a gorgeously frosty Michelle Yeoh) is the type who, when running up against a racist manager at a London hotel, calmly takes out her phone and makes arrangements to buy the hotel then and there. Minutes later she strides away, leaving the manager to get down on his knees and scrub the mud off the carpet from her son’s shoes. When Hollywood does Asia, it goes for the jugular, like “Joy Luck Club” and “Sayuri” and “The Last Samurai.” Hollywood executives hear the word ‘Asians’ and immediately conjure an image of sweating maidens in rice paddies, or yakuza with swords in Shinjuku, or maidens and yakuza hooking up in Shinjuku, or all of the above. But in “Crazy Rich..,” Asians get to do what white people in movies have been doing for centuries. It’s about time. Meanwhile, over here in the Land of the Rising Sun, people’s names are adamantly Japanese. Women are told to shut up and bear children, or shut up and work until 50 after which they must quit to care for elderly parents. Prime Minister Abe, now firmly ensconced in his third term, has promised the nation’s women that “things are going to change.” Seriously? They ain’t changing fast enough. All over Asia, Asian women are liberating themselves from tradition and antiquated family values to get a lot richer a lot faster than the Japanese ever did. Japan had its five minutes in the economic spotlight in the late 1980s but the 20-plus year recession combined with the notion of “seihin （清貧・clean poverty)” just about did us in. Evidence to that is seen in the way “Crazy Rich Asians” completely ignores Japan. China, Taiwan, Hong Kong – these places all get mentioned but Japan? Nada. True, Japan-born actress Sonoya Mizuno is in the cast but she plays a filthy rich Chinese woman. Go figure. We’re a tad miffed, to be honest. 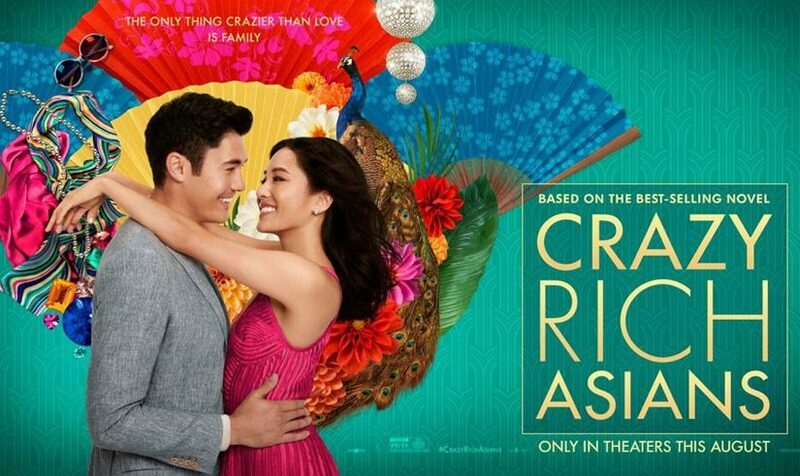 But that really shouldn’t stop Japan from savoring every single frame of “Crazy Rich Asians.” From the sleek, precision make-up on the women to the bared torsos of the males (firm, slender and hairless – God’s gift to Asia) to the decor and wardrobe to the food and cocktails, “Crazy Rich…” is one huge, glittering monstrosity of a sweet, sweet treat. No wonder that for an increasing number of Japanese who will never be crazy rich, Singapore has come to represent the unattainable Japanese dream.